One of three species, the Small Mossy Lithacodia is wide spread in the eastern half of the US. 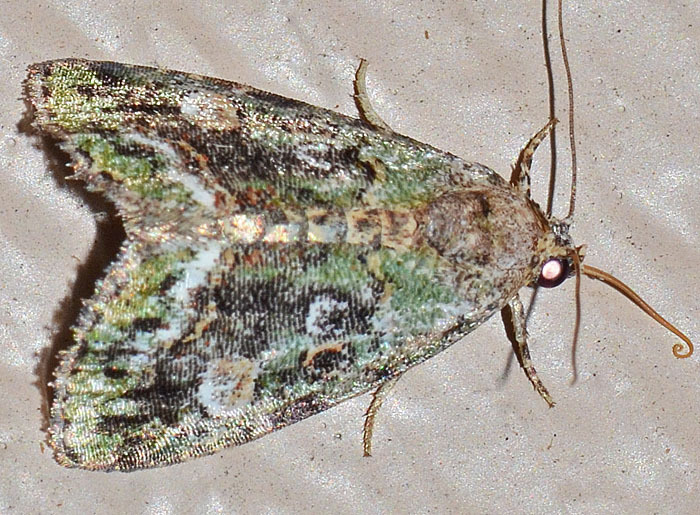 The forewings are dark greenish with blackish shading and lines but the green fades to yellowish in old specimens. Wikipedia refers to this species as Deltote musta.